The new Porsche 911 Turbo Coupe is the fastest 911 available right now. It’s the wild child version of the iconic 911 – deliriously quick, a joy to own and drive, and one of the best sports cars on the market. There have been a few changes since last time, with Porsche adding turbochargers to the 911 range in a bid to improve those out-of-control running costs, while ride comfort has also been improved. Fear not, though – this is still an awesome machine. OSV takes a closer look at what it’s all about with our 2018 Porsche 911 Turbo Coupe review. We’ll admit it – Porsche’s decision to introduce turbochargers to the 911 range had us worried as much as it had you worried. However, we’re pleased to report that it hasn’t had a negative effect on the way the iconic car drives. In fact, you could even argue that the 911 has never been this enjoyable, with the engineer’s using all their years of experience to continue refining what has always been one of the world’s most exciting cars. It’s evolved into 2018 nicely. As well as introducing turbochargers, Porsche has also got the position of its real mounted engine just right – finally. We say that because in previous versions, the 911 Turbo has been a little bit too wild, and this was largely down to the positioning of its engine, which caused some imbalance. With that all sorted, the range-topping Turbo S model is still a hard car to live with, especially for unpolished drivers. If this is your first time driving a monster like this, be wary – it’s intimidating, even for the purists. Armed to the teeth with 569bhp, the 911 Turbo S is able to accelerate from rest to 62mph in 2.9 seconds with all the impatience of a caged animal. That said, it’s also armed with lots of grip that gives you confidence when you take on corners at speed. Moreover, the steering provides plenty of feel, while the Turbo S model also benefits from active roll bars, Porsche Dynamic Chassis Control and powerful ceramic brakes. And to top things off, the noise the engine makes is just glorious and reminds you exactly why you wanted this car in the first place. Having said all that, there’s also the option of a smaller, standard Turbo model that more commonly goes under the name of the 911 T. The standard Turbo offers less power and takes 4.3 seconds to complete the 0-62 dash, but it’s designed with purists in mind and comes with a limited-slip differential. Rear-wheel steering is available as an optional extra, but the car is almost as hard to live with as the Turbo S.
The way the new models are set up means that the 911 Turbo is comfier than last time. That said, the Turbo and Turbo S models aren’t as comfortable as the standard 911, and this is thanks to the fact that they’re considerably lighter. Moreover, the Turbo models are louder. This might not be a problem when you want to absorb that electrifying engine soundtrack, but it’s more problematic when you’ve got tyre roar ringing in your ears on the motorway. Still, the car is exceptionally refined and comfortable for a sports car. In terms of design, it’s hard to find fault with the way the cabin looks and feels. The materials are plush, the aesthetics are modern, and the brands 5-dial layout is present and correct. Then there’s the low-set driving position that enhances the 911’s sporty personality. The controls are superbly positioned, and Porsche has updated their touchscreen infotainment system. Is the Porsche 911 Turbo Coupe practical? Porsche have used its space well, but let’s be honest – they never had that much space to play around with in the first place. Still, both variants feel genuinely roomy inside, with the massive windows offering lots of visibility. There are rear seats but they’re only suitable for small kids or a bag or two, the glovebox is reasonably sized, and the boot – which is under the bonnet – measures 125-litres. Standard kit is generous, with the standard Turbo model getting 20” alloys, thinner side glass, unique fabric inserts for the seats and the brands Communication Management system. 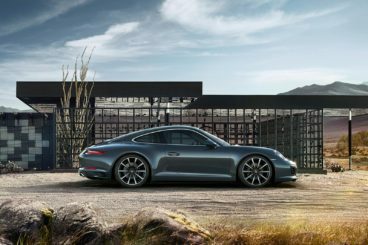 A seven-inch touchscreen is also standard, but Porsche will let you remove it altogether if you want to keep your car’s weight down as much as possible. The Turbo S model adds Adaptive Sport Seats Plus, cruise control, LED headlights, rear parking assistance, 20” Turbo S alloys and powerful ceramic brakes. In terms of how safe the car is, the 911 hasn’t been – and won’t be – crash tested by Euro NCAP. However, it’s been around so long now that you’d expect any and all issues will have mostly been eliminated. Both Turbo models come with tyre pressure monitoring and electronic stability control, but the standard model misses out on carbon ceramic brakes. Both models, however, benefit from the four-wheel drive. Prices for the new car rise to as much as £207,506. For more information on our leasing deals, you can check out our page here. In terms of its running costs, the best you’ll be able to return from the Turbo is a 31mpg economy. That’s really not bad at all when compared to past incarnations of this car. Moreover, it compares reasonably well with the rest of the 911 range. The Carrera, for example, is the most fuel efficient, returning 38.2mpg on a good day. The Carrera S, meanwhile, is good for returns of 32.5mpg. Where emissions are concerned, the Turbo emits 212g/km of CO2. Again, that compares well to past models, and the new car is made cleaner by its PDK gearbox. The Turbo S model explodes like a stick of dynamite, covering the 0-62 sprint in 2.9 seconds. For such a quick sports car, it’s incredibly refined. True, you’d have to drive this car in a way that nature didn’t intend in order to return over 30mpg, but those official numbers are pretty spectacular. There aren’t that many cars that can drive as fast as this, and as such it’s also one of the most intimidating sports cars around. For less than half the price, you can pick up an M4 Coupe instead. Let’s see how the car fares against its rivals in the comparison section of our 2018 Porsche 911 Turbo Coupe review. The new Aston Martin Vanquish Coupe is stunningly designed and boasts a monstrous V12 engine. 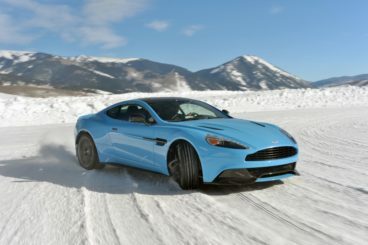 The bad boy of the gentlemanly Aston Martin brand, the Vanquish is also the most expensive Aston on sale. It’s powered by a ferocious 6.0-litre V12 engine that develops 568bhp, and which has a 0-62 time of 3.8 seconds, and a max speed of 201mph. The engine is paired up with a smooth and fast 8-speed gearbox, while a launch control feature controls wheel-spin so that you’re able to unleash the car’s prodigious power without any hassle. There’s also a Vanquish S model on sale that develops 595bhp, but which is – unbelievably – easier and less intimidating to drive than the standard model. Both models, meanwhile, are naturally aspirated, with no turbochargers in sight. Running costs? The standard model is able to return 22.1mpg at best and emits 298g/km of CO2. The Vanquish S isn’t too far behind and can manage 21.6mpg on a good day while emitting 302g/km. Inside, the Vanquish is a thing of luxury. However, while we have no issue with the obviously high levels of craftsmanship on display here, what’s worth pointing out is that Aston Martin is still behind the times when it comes to the quality of their infotainment systems, sat nav and switchgear. Here, as in other Aston’s, these things aren’t as modern as their rivals. Is the Aston Martin Vanquish Coupe practical? Aston Martin has been able to create more space by moving the dashboard 20mm forward, while the boot measures 368-litres. As such, it’s a more practical option than the Porsche, although its rear seats are just as cramped. The new BMW M4 Coupe is an animal, though, like the 911, it’s now got turbochargers. A turbocharged 3.0-litre petrol engine was built especially for this car. Despite those turbochargers, performance is impressive. In standard guise without the Competition Pack, the engine produces 425bhp and has a 0-62 time of 4.1 seconds. The CS model has a 0-62 time of 3.9 seconds and develops 454bhp. Straight-line performance is incredible, but this is also a very agile car. It’s lighter than last time, with BMW tweaking its engine, suspension and steering. Go for the CS model and you’ll find that the car is even nimbler still. Running costs? The introduction of turbochargers means that the car is at least more fuel efficient than before. BMW has also added brake energy recuperation to keep costs down, and the standard M4 can return an impressive 32.1mpg on a good day. Emissions, meanwhile, stand at 204g/km of CO2. The CS offers more performance but it’s also more economical. It can return 33.6mpg at best and emits just 196g/km of CO2. That said, if you drive the car the way God intended, you’ll never achieve those economy figures. Inside, the M4 is harsher than its standard sibling, but it comes with adjustable suspension that allows you to tweak things so that you’re not always too uncomfortable. The CS, meanwhile, does a pretty handy job of smoothing out poorer road surfaces. Insulation isn’t great, with tyre roar sometimes getting so loud that it even drowns out the stereo. And because the car now comes with turbochargers, BMW has worked hard to ensure the engine still makes a fearsome noise, but it sounds a tad too artificial. 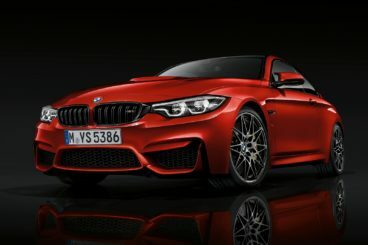 Other than that, the M4 looks a lot like a race car inside and we love the Alcantara suede-effect trim. Moreover, a 445-litre boot makes this high-performance car the practical choice in this review. It’ll weaken your knees in the showroom and send a rush of blood to your head on the road. It can only be one car – the mad, bad 911 Turbo. Luxurious, powerful, and devastatingly powerful, it’s an iconic sports car that’s just as deliriously enjoyable as ever. It costs a small fortune, it raises hell, and if you’ve got the cash we simply have zero reasons not to indulge in the latest Porsche 911 Turbo Coupe.